Hotel and restaurants projects and operations. 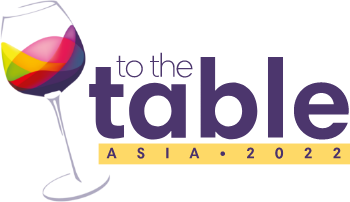 Suppliers meeting F & B purchasing professionals at TO THE TABLE MEA. Supplier benefits and How it Works. 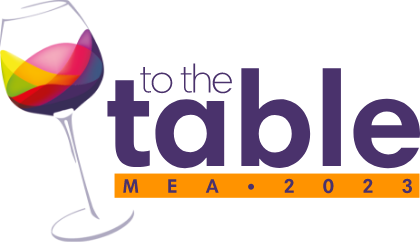 So why would registering as a supplier at TO THE TABLE MEA 2019 be the best business decision you’ve made this year? " We only invite buyers with real decision making power, from the most prestigious hospitality companies. All buyers are operating and developing multiple outlets in the region and have real requirements for your products. Buyers surveyed one month after the last event responded with these statistics, following the meetings they had at TO THE TABLE. The buyers invited are senior decision makers for their group in the Middle East and Africa, with multiple hotels and restaurants across the region and new hotels and restaurant opening every year in this busy, developing marketplace. The projects are all across the region, but at TO THE TABLE, you will be able to meet the key decision makers all in one place, saving you time and money. And unlike meeting them at their offices, we provide a distraction free environment, so you can have that conversation you’ve been waiting for. One month prior to the event, we give you access to the online directory of attendees, so you can read profiles on all buyers and choose those you wish to meet at the event. Buyers also select their top suppliers, then we create your personalised appointment schedule accordingly. Each meeting lasts 25 minutes, with a 5 minute break in-between. Suppliers are given a meeting table for the duration of the event, with an adjacent product display table for your product samples. We bring the buyers to you at your meeting point, according to your appointment schedule. Our Seminar Programme really packs a punch – it’s a lively compelling programme, getting to the heart of the most relevant topics and delivered by prominent leaders in the industry. TO THE TABLE brings the key characters in your industry together for two days and three evenings – networking opportunities are plentiful, so you really get to know people and cement new relationships formed during your formal meetings. WHAT MAKES TO THE TABLE THE MOST PRODUCTIVE AND EFFICIENT WAY TO DO BUSINESS? VIEW PRICE PACKAGES TO THE TABLE is an inexpensive opportunity compared to other events, we have flexible package options and fair, consistent pricing for all suppliers - why pay more and get less?